2) Buns. We butter and toast every single bun. Oh, and our buns are Hawaiian sweet bread buns from Punalu'u Bake Shop, located right here on the Big Island. We call them Hawaiian MSG, as they make ALL of our burgers and sandwiches taste better! On a side note, be sure to go there and get their lilikoi malasadas. And don't get us started on their chocolate eclairs... Call ahead as they sell out! 4) Seasonings. Different ones for each side of the burger. 5) Real hamburger dill pickles. There is a well known burger place here on the island that CHARGES extra for pickles, and they're not real hamburger dill pickles either. A few of our burgers don't come with pickles as we feel they' don’t go well with the other ingredients, but if you want them, we'll put them on for you. 6) Meat. It's gotta be grain fed. Grass fed sounds so right, but just doesn't taste (or feel) right. Plus, grass fed is too lean to be cooked over flames. The burgers end up being tough and dry. Ours are so moist that we have to place them on the top bun so they don't soak the bottom bun too much! It's also why we give our customers at least two napkins per burger! 7) Interesting ingredients. A few of the things our burgers are available with include; locally sourced goat cheese infused with macadamia nut pesto, roasted poblano peppers, jalapeno cream cheese, Applewood smoked bacon, and all natural peanut butter. We hope you come in and try one of our burgers. We think we have the best burgers in Kona (and maybe even the Big Island), but don't take our word for it. 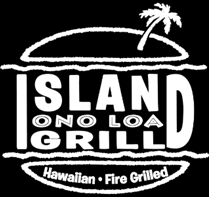 Search Yelp or TripAdvisor for Burgers in Kailua-Kona, and we're listed #1 on both!